Entertainment desk : The ‘Friends View Star Award 2019’ was held on 22nd March at the FDC. The program was organized by Friends View and Media and Events Chairman Robi Chowdhury. Executive Director of Asian TV Alhaj Harunur Rashid was present as the chief guest while producer Nazrul Raj, Dhaka City Corporation’s councilor Omar Bin Abdul Aziz and general secretary of Bangladesh Film Development Corporation Barapbar popular actor Zayed Khan as special guests. Also present at the ceremony were the stars of the media, including prominent personalities. actors Anjana, Vidya Sinha Mim and Popi were among the awardees. 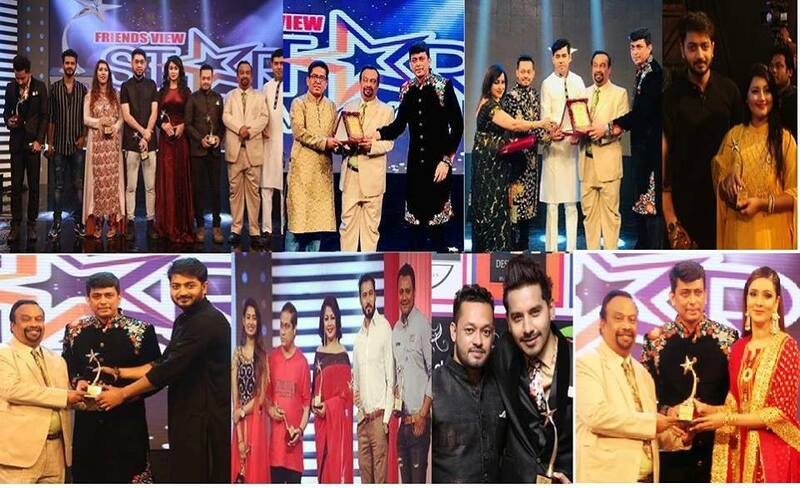 Among the actors, DA Taib, Chanchal Mahmud, Bappi Chowdhury, Debashish Biswas, Shahriar Nazim Joy were awarded. Meanwhile, Apu Biswas, Shirin Shila, Siddiqur Rahman, Taskin, Tanzib Sarwar, Pooja, Bulbul Tumpa, Imu Hasmi, Syed Ruma, Sujon, Imtu are also acknowledged. Medals were awarded to entertainment photographer Abu Sufyan Ratan, Model Soma Afroz, RJ Saimur, RJ Farhan, Rumana Nir, Rabuli Alam of the Dinosaur Coronerology, Fashion Show Corography S. Johnny, Model Coordinate Yasin, Program Coordinate Apurba etc.